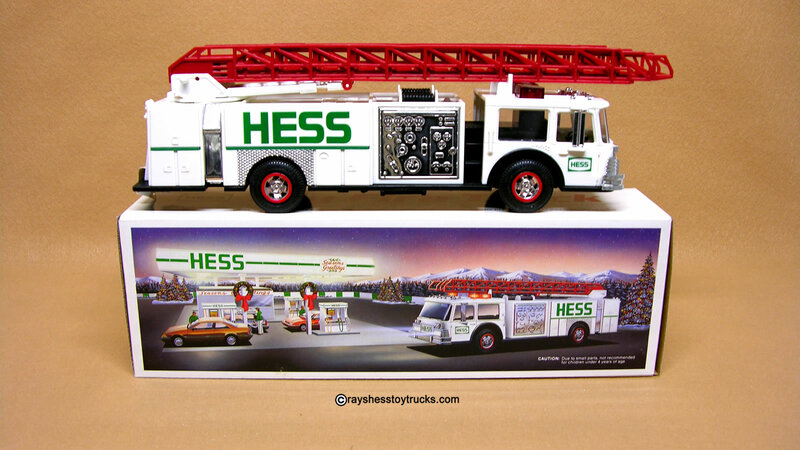 This truck is a reissue of the 1986 Fire Truck, but with several interesting features added. 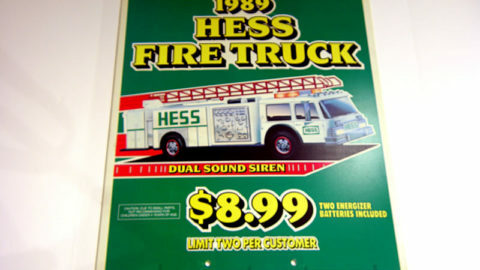 It has unique dual sound siren operated by a separate switch, the working headlights and taillights, and the emergency flashers operated by another switch underneath. 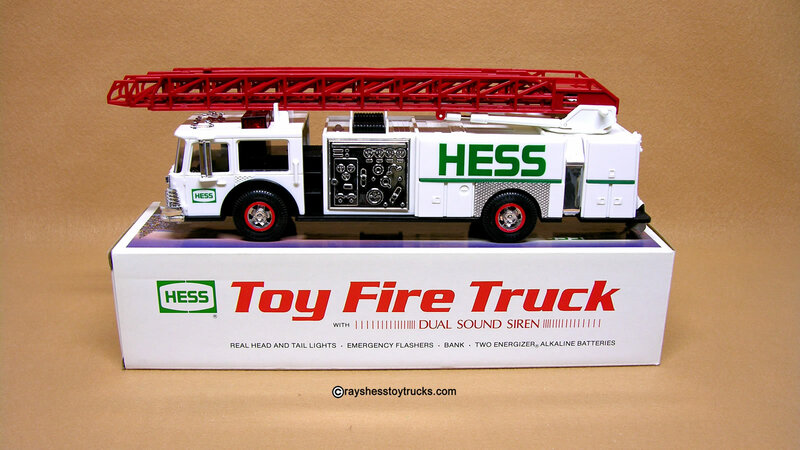 Unlike the 1986 fire truck this is white instead of red, and the aerial ladder is red instead of white. 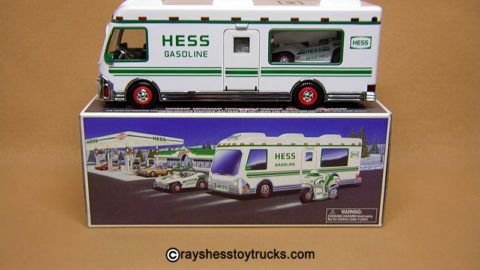 Box is also mint with bright graphics and complete with both top & bottom inserts. 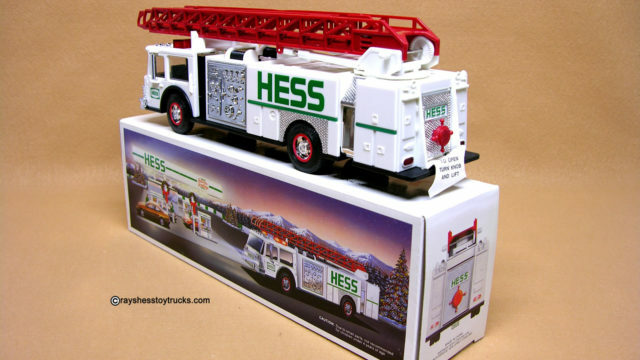 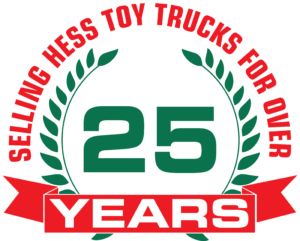 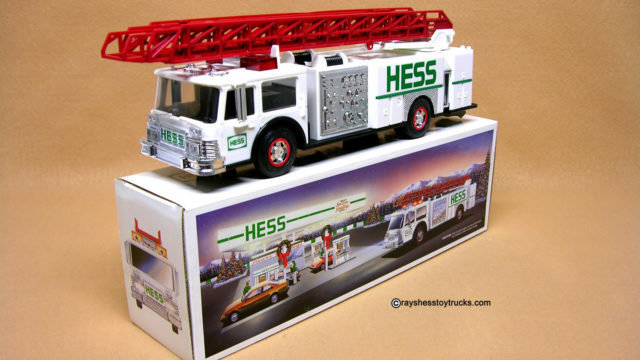 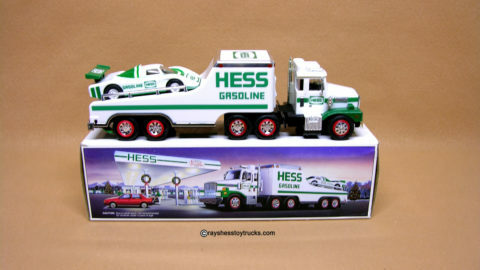 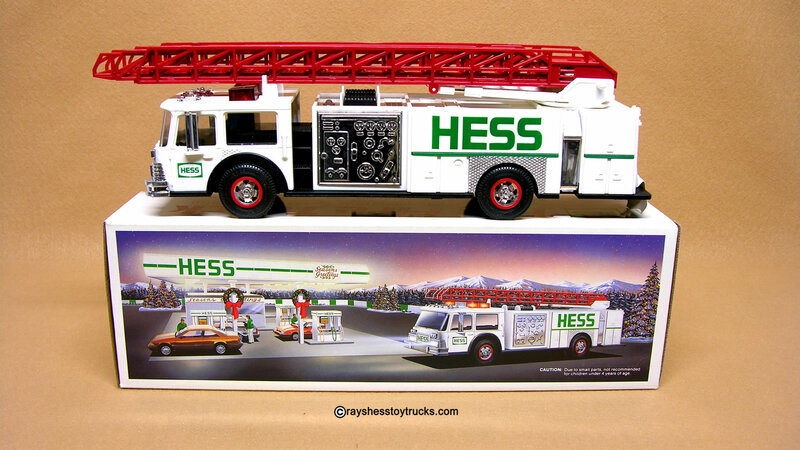 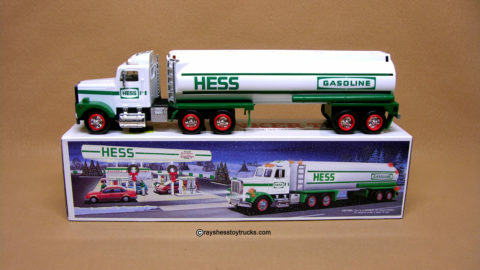 The box features the fire truck parked next to a Hess Gas Station with snow covered mountains and Christmas trees in the background. 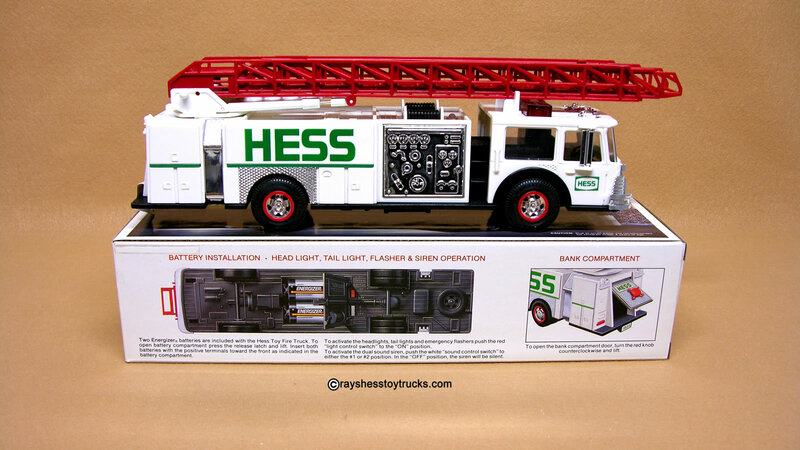 Battery installation and bank compartment instructions are on the bottom of the box.